Realignment of a section of State Highway 73 within Arthur’s Pass National Park between Mingha Bluff and Rough Creek. The section is narrow at many points and has tight corners leading to poor visibility. State Highway 73 (SH73) is the primary and most direct transport link between Christchurch and the West Coast. The highway provides a strategic link not only to the towns of Greymouth, Hokitika and Westport but to the entire West Coast and the tourism sector. The section of road also sits within the Arthur’s Pass National Park and allows easy access to the Park's alpine natural, historic and scenic character. 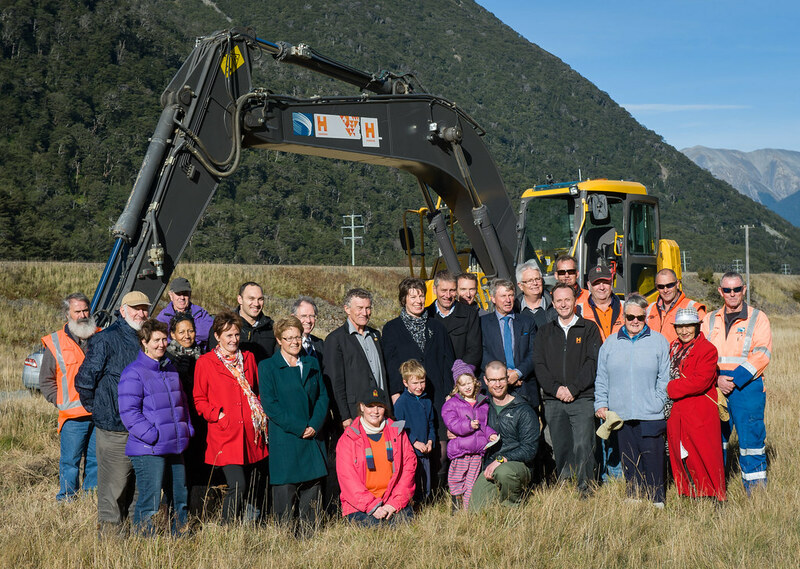 This realignment project aims to improve safety and reliability while minimising environmental impacts on Arthur’s Pass National Park. Construction started in May 2015 and the project is expected to be finished by early 2018. Safety is a major concern along SH73 and over the years sections of the road have been upgraded. 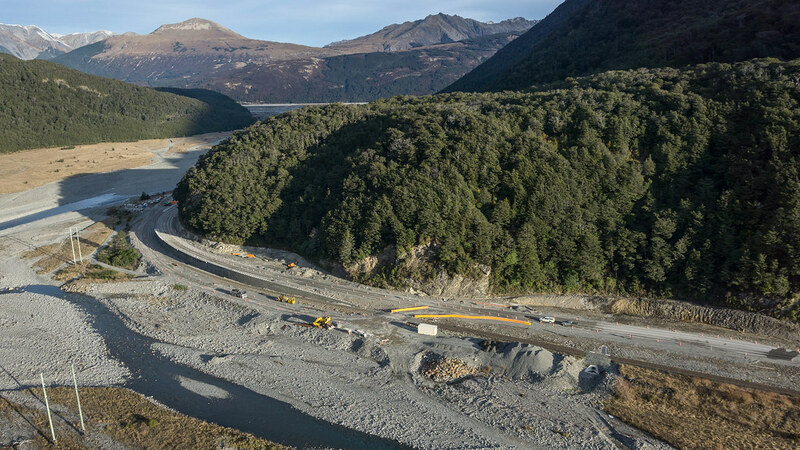 Projects such as the Otira Viaduct and Candy's Bend improvements have led to a steady increase in traffic using the highway as the route has become safer and more reliable. The section between Mingha Bluff and Rough Creek is one of the last remaining high-risk sections. The road is narrow at many points and there are several tight corners. Visibility is an issue and the road is very narrow in places making it unsuitable for cyclists and pedestrians. This project will see the road widened to nine metres and redesigned, removing tight corners and dips and hollows. The improved shape and width of this stretch of highway will make it safer for all road users, including cyclists and pedestrians. The project has been designed to be sympathetic to the Arthur’s Pass National Park's alpine, natural, historic, cultural and scenic character. It will increase opportunities for visitors to see and experience the dramatic scenery. Ecological effects will be minimised through landscaping, storm water treatment and careful project construction. The existing highway (not required for the new highway) and surplus land will be returned to National Park. The project team have worked with Ngai Tahu representatives on this project to ensure the project is mindful of the iwi's traditional association with the area and ongoing relationships with the natural environment. An interpretation panel detailing the Ngai Tahu association with this land will be installed in the area. The Transport Agency is seeking certification of its high value state highway projects to Greenroads®. The Mingha Bluff realignment project is the first Transport Agency project to register for Greenroads certification in New Zealand. Greenroads is an international sustainability rating system for roadway design and construction projects. The scheme provides the project team with a collection of sustainability best practices and awards points for achievement of selected credits. The Mingha Bluff realignment project team is aiming to certify the Project to Bronze level as an early ‘demonstration’ project. This will provide the Agency and project partners with a better understanding of the Greenroads implementation process and to benchmark the Project against international best practices.